Taipei Zoo celebrates the 97th anniversary on 30 October 2011. 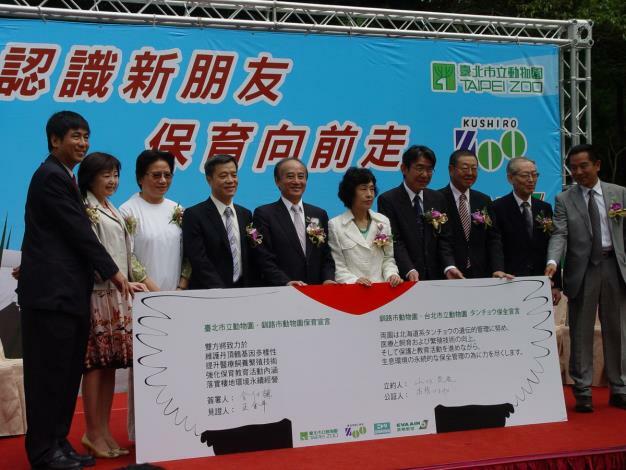 It is also the 25th anniversary of Taipei Zoo’s relocation from Yuanshan to Muzha. Meanwhile, it is the first time that the red-crowned cranes exhibit opens to the public. To memorize this special moment, Taipei Zoo and guests from Hokkaido plant two cherry-blossom trees. 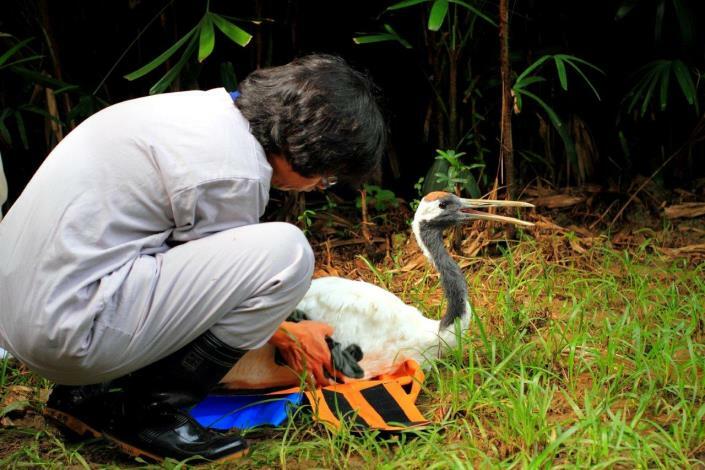 Taipei Zoo and Kushiro Zoo declare a commitment to cooperate in the ex-situ conservation and education programs of the red-crowned cranes. 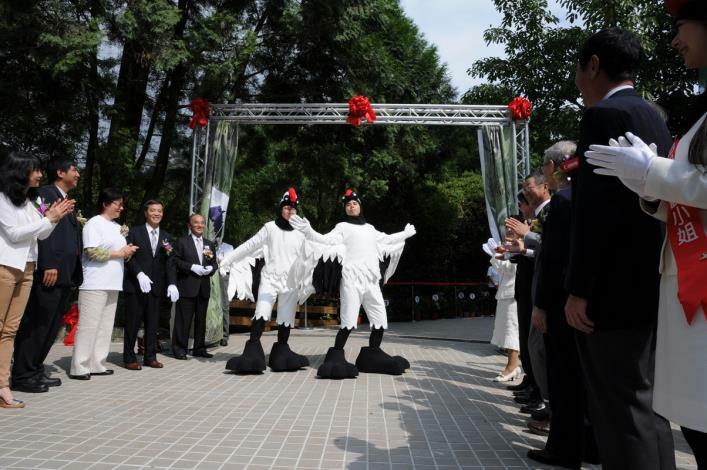 About 150 guests from Hokkaido join the opening ceremony at Taipei Zoo. Jin-pyng Wang, President of the Legislative Yuan of Republic of China, join the opening ceremony as well. He expects the pair of red-crowned cranes will build up the lasting friendship between Taiwan and Hokkaido, just like the symbol of the red-crowned cranes. Guests including Governor Takahashi of Hokkaido , Mayor Ebina of Kushiro City, Director Yamaguchi of Kushiro Zoo and other delegates from Kushiro City. They come to Taipei not only visit the red-crowned crane but also introduce Taiwanese people the wonderful tourism in Hokkaido. Today Taipei Zoo visitors are able to meet the red-crowned crane, “Big.” Big is a hand-rearing red-crowned crane from Kushiro Zoo, so he is more familiar to human beings. 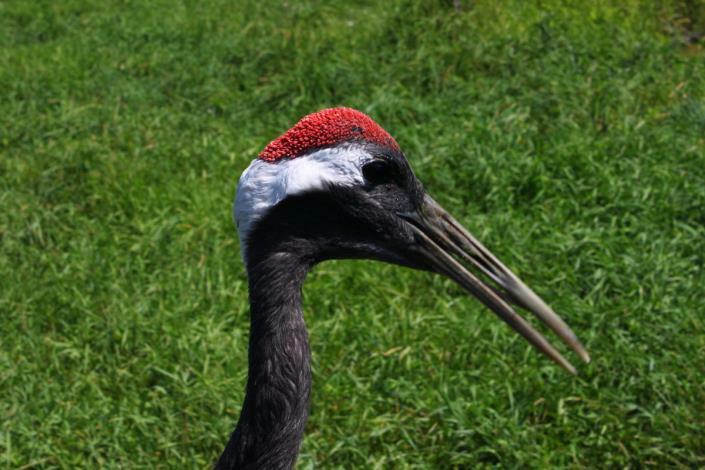 On the other hand, the female crane, Kika, is raised by her biological parents. And due to the better management to her shyness, Taipei Zoo will introduce her to the public until the beginning of 2012. Though Big has got used to the public, Taipei Zoo would like to call upon visitors to lower down their voice. Because Kika is the neighbor of Big, it is better to leave them a more quiet display area. 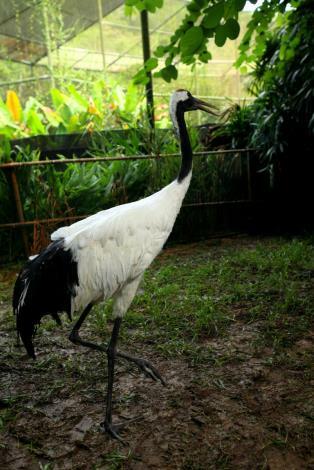 From 31 October 2011, the exhibit of the red-crowned crane is at the Cranes Exhibit Area, Bird World, Taipei Zoo. 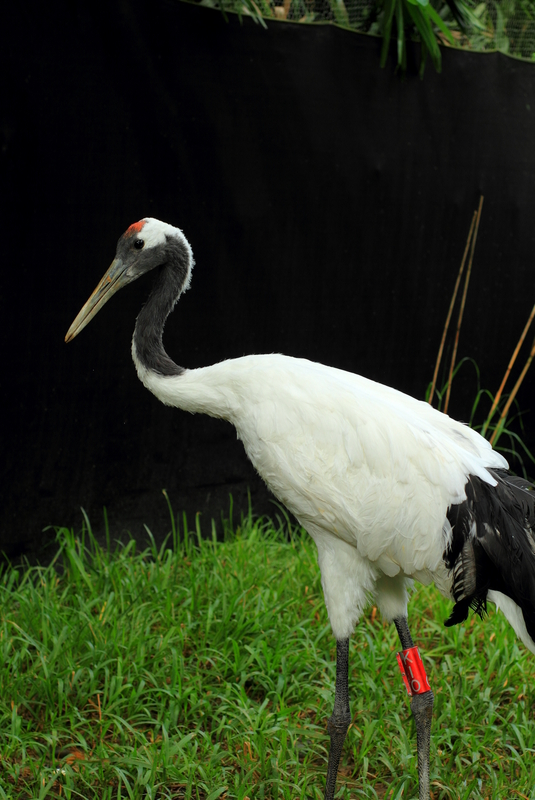 The opening time of the Cranes Exhibit Area is from 9:00a.m. to 4:50p.m. every day. 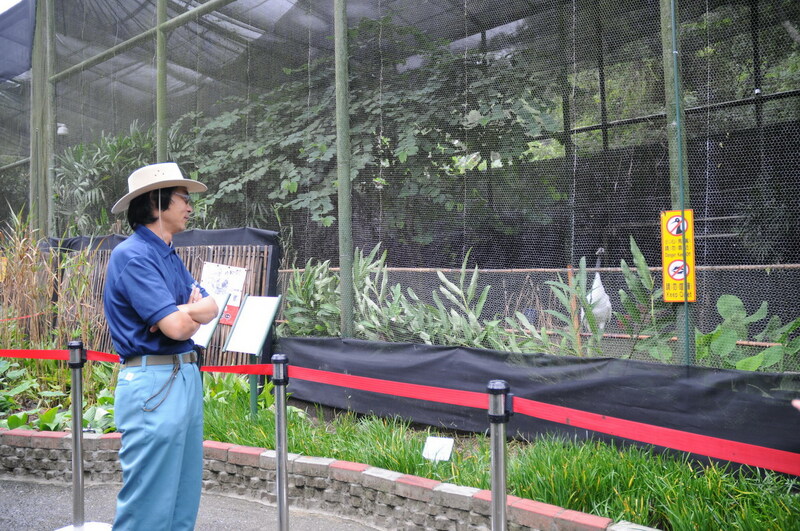 To enter the exhibit area, Taipei Zoo visitors should draw the crane-visiting ticket (free) at Bird World Square. And the given visiting time will show on each ticket for each person. Visitors are allowed to enter the exhibit every 10 minutes. Every entrance allows 150 people, and 7,050 people are the maximum for a day.